Instead of being fun with the overall effect of a Whitesnake guitar solo, the movie is a big yawn woken up temporarily by an amusing kick or punch. Directed with definitive indifference by Brett Ratner, “Hercules” is a heavily manufactured period action movie more than a potentially lightly amusing one, even from its lead actor who can regularly chew on goofy machismo and earn those comparisons of being the next Schwarzenegger. Johnson is this vehicle’s main spectacle, providing sporadic tiny giggles when he lifts and then throws something that is indeed very heavy, or kills someone by punching them. But the weight itself of a narrative on an overly serious take on the character (he’s human, just like us!) prevents him from the simpler cheesy glories. “Hercules” is unashamed in its plainness, its construction likely influenced in some part by the success of Marvel’s “Thor” movies. Like Chris Hemsworth’s Marvel space viking, this version of Hercules is surrounded by fellow forgettable warriors that only take away Johnson’s camera time and presence, and are cleanly divided by obvious traits (one of them, as cartoonist Tim Nagoda would designate, is “The Girl.”) The action of “Hercules” can be reminiscent of the dullest scenes in “Thor,” regarding those moments when blondie and his buddies are fighting random, disposable beings from another planet. To honor this movie’s hope for junky nostalgia, I tried to view this film as it was probably meant to be home theater-wise, with greasy pizza and low expectations in hand. The results were still disappointing. It turns out some nostalgia can be outdated. Or, in this case, it’s in desperate need of rejuvenation from a story that doesn’t take its silliness so seriously. Based on the Radical comic “Hercules” by Steve Moore, this version has the mythic hero (played by Dwayne Johnson) dealing with his status as neither god nor man. With his crew of six other mercenaries, he trains men in the Kingdom of Thrace to become warriors just like him. 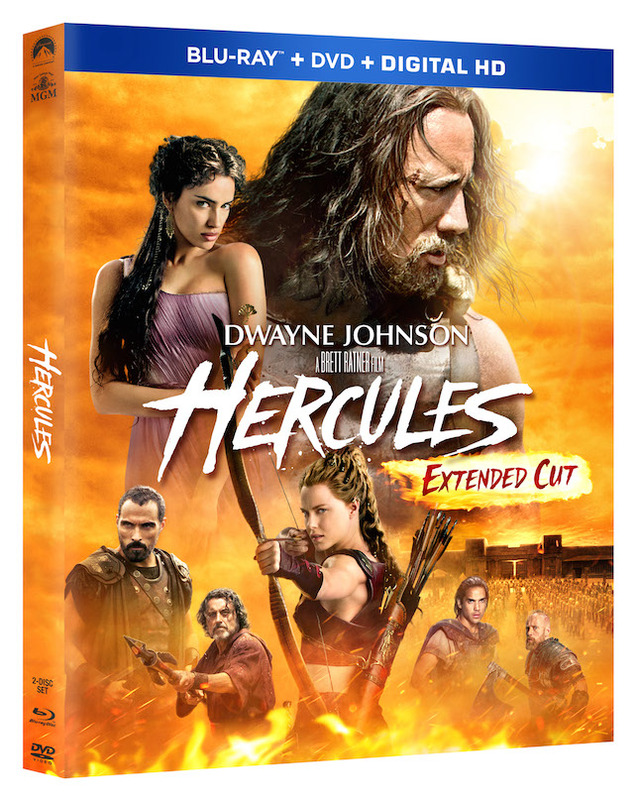 ”Hercules” was released on Blu-ray and DVD on November 4, 2014.